Product code: Q516 Categories: Sold Items, Sold Rings. 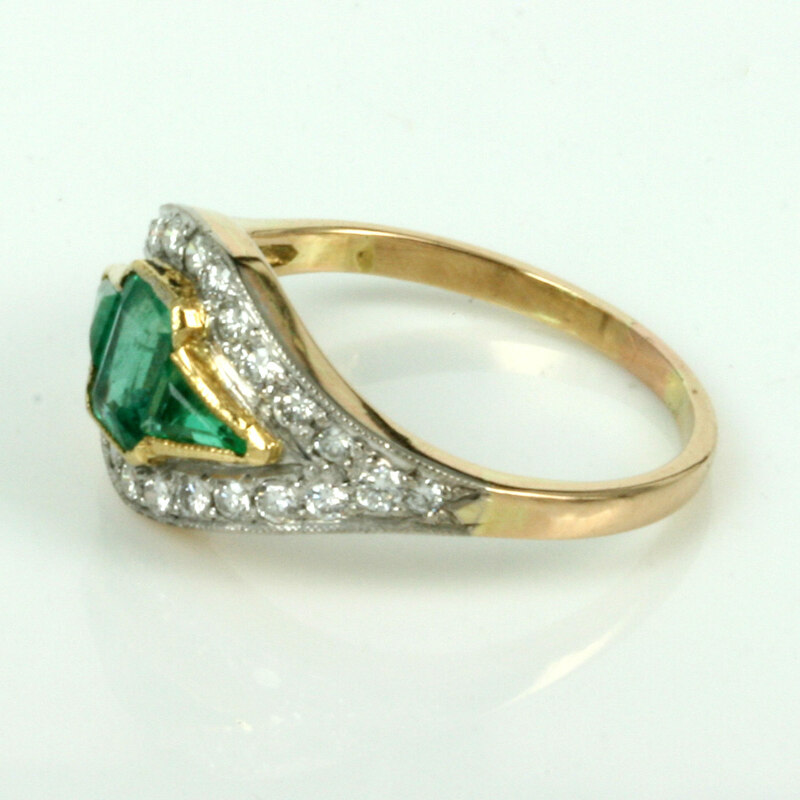 When this emerald and diamond ring is on your finger, it will really stand out and be admired as one of the most beautiful and elegant emerald and diamond rings around. All hand made in 18ct yellow and white gold, the ring is set with 3 vibrant natural Colombian emeralds and then surrounded by 26 diamonds in such an elegant and refined setting. 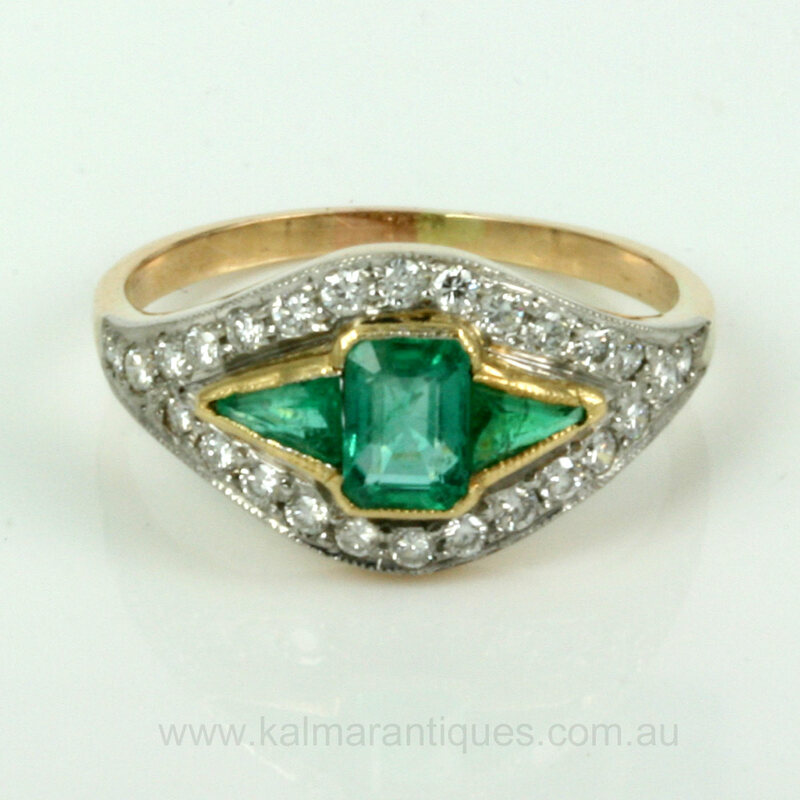 The central emerald measures 0.60 carats and is in an emerald cutm then making this ring exciting is the use of two perfectly matched triangular cut emeralds on each side. These emeralds total 0.20 carats and all the emeralds have such a perfect colour and great transparency from what you would expect from fine quality emeralds. With the brilliant cut diamonds having a total weight of 0.42 carats, they add some sensational sparkle and are milgrain set which is that delightful crimping around the setting. 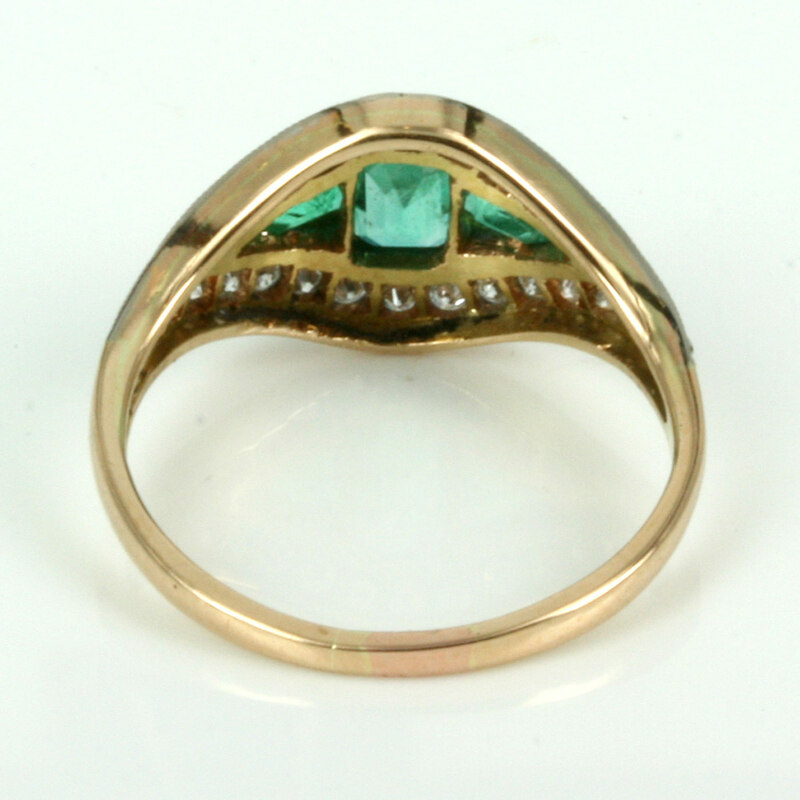 The design of this ring is perfect for emeralds as they are all very well protected and this emerald and diamond ring is just stunning and will be loved!